BROOKS-120-SL Mr Frederick Brooks made his first stairlift in 1973 for his wife Grace, a rheumatoid arthritis sufferer. As a Daimler engineer, Mr Brooks put his many years’ experience of craftsmanship and style into the original BROOKS-120-SL Lincoln Stairlift. Soon, people with mobility difficulties across the UK were contacting him to commission their own stairlift. Thirty years later, Frederick Brooks’ high standards remain. By combining today’s advanced technology with a tradition of reliability and comfort, we guarantee that the Brooks Lincoln Stairlift will help you make the most of your home. Professionalism & Care Safety and comfort come first at Brooks. The lift uses DC power packs that are automatically recharged when the lift is at rest. This means the lift is whisper quiet, incredibly smooth and will function even during a power cut. Brooks Lincoln Stairlifts have slimline motors that provide a steady start/stop action and many years of faithful service. 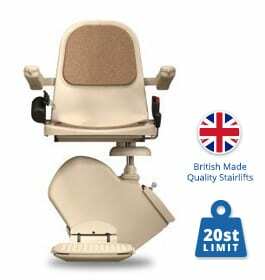 When you purchase a Brooks Lincoln stairlift,you are buying freedom – not costly maintenance. Indeed, every part of the lift has been designed with you in mind. 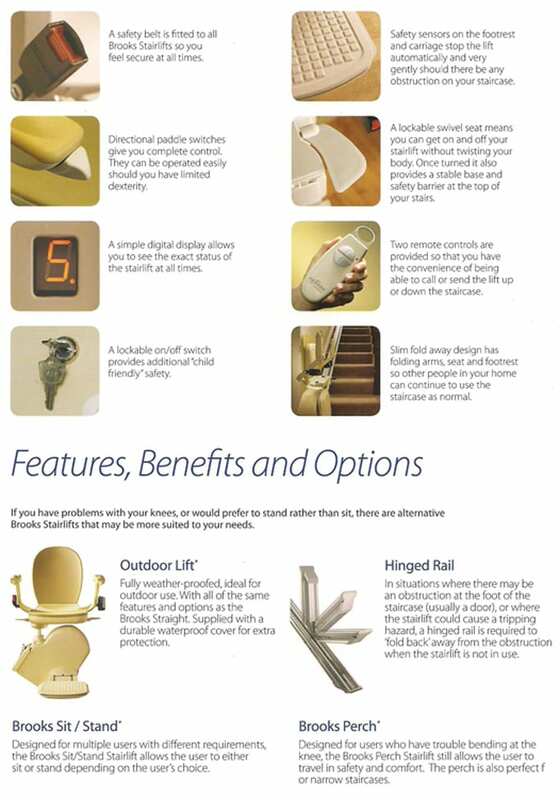 Each feature is the result of careful consideration in response to the requirements of the stairlift user. We listen, and then we produce the best solution. 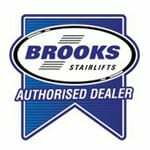 Remote controlades of experience Quality And Craftsmanship Brooks Lincoln Stairlifts are renowned for their low maintenance and high reliability. This is why we can offer a no-quibble warranty and complete peace of mind to all our customers. Our helpline and customer support network ensures that Brooks will always be there for you. Every member of the Brooks team has been trained to the highest standard. 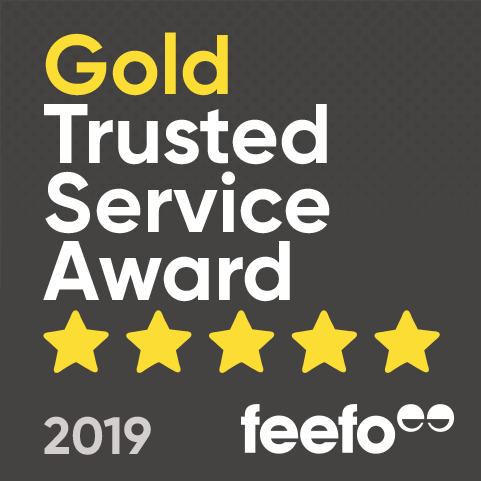 From our customer support representatives to the engineer who installs your lift, our care and attention to detail is second to none. For thirty years, we have provided the finest Stairlifts to our customers. Ours is a heritage based on quality and service – a heritage you can trust. Join the thousands who associate’Brooks’with excellence. We remain true to our guiding principles of quality and care. Here are just a few of the features that set us apart. Lockable on/off switch allows the user Swivel seat means no need for twisting to get on or off. Hinged Rail eliminates any problem you may have with obstruction to a doorway at the foot of the stairs. Folding seat and footrest allow full access to the staircase. Sit/Stand Stairlift gives the user the choice whether to sit or stand. Perch Stairlift is ideal for customers who may have trouble sitting or bending at the knee. L Overall depth (footrest down) 23″ 585mm Brooks, in keeping with its policy of continual development, reserves the right to change specifications without notice. All measurements are approximate, images are shown for illustrative purposes only.